Nothing suitable in promotional sunscreen? 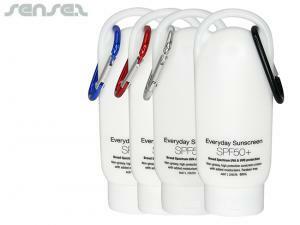 Promotional sunscreen is the ultimate gift for the beach. 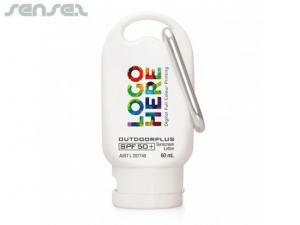 Branded promotional sunscreen is a great way to show your brand cares for your clients! Sunscreen is a fantastic lifestyle product, will always be used up to the last drop and is always in hot demand, especially in the Australian summer! For a smaller sunscreen sachet pack that is ideal for outdoor events choose our sunscreen zinc sachets, or our innovative promotional custom printed promotional sunscreen squeeze sachets in 5ml or 10ml. 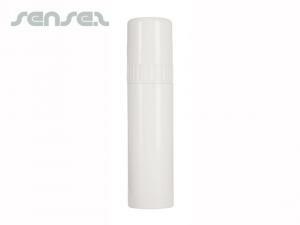 We also carry a innovative range of promotional sunscreens in tubes with your custom logo print on the tube! 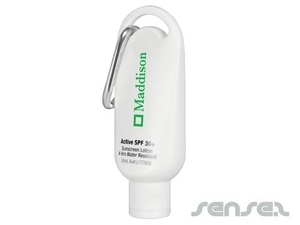 These sunscreens are all SPF30 and comply to Australian standards and are Australian made. 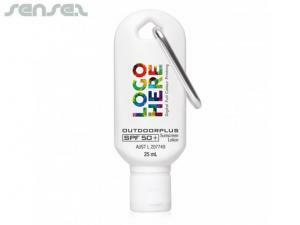 Choose from 30 ML sunscreen tubes, or 250 ml sunscreen bottles with custom logo print or our stylish carabineer sunscreen tube - great for the beach or for sports! 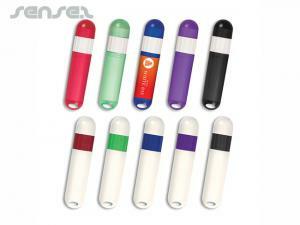 All custom printed with your corporate brand!